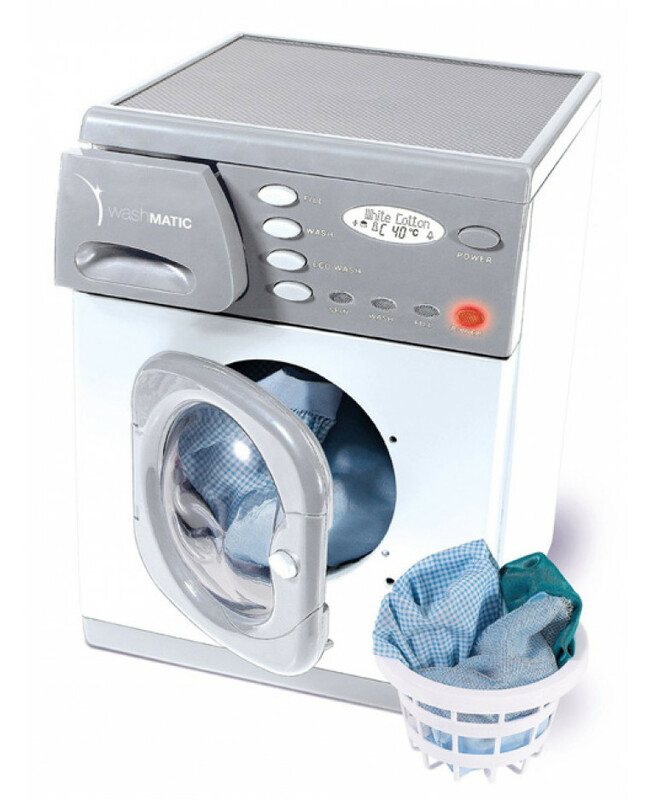 This great Casdon Washing Machine is just like the real thing. 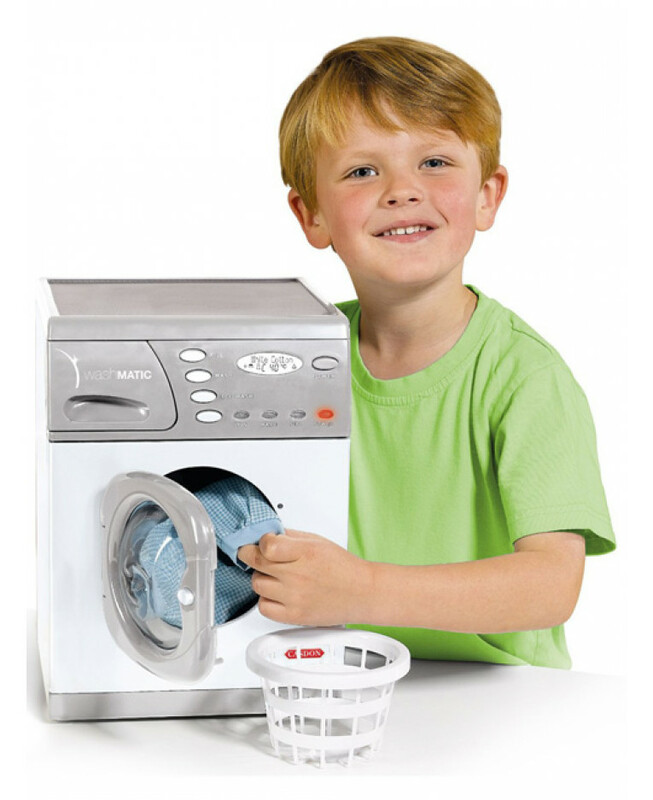 Ideal for realistic role play, this fantastic replica will provide your little one with hours of imaginative play. 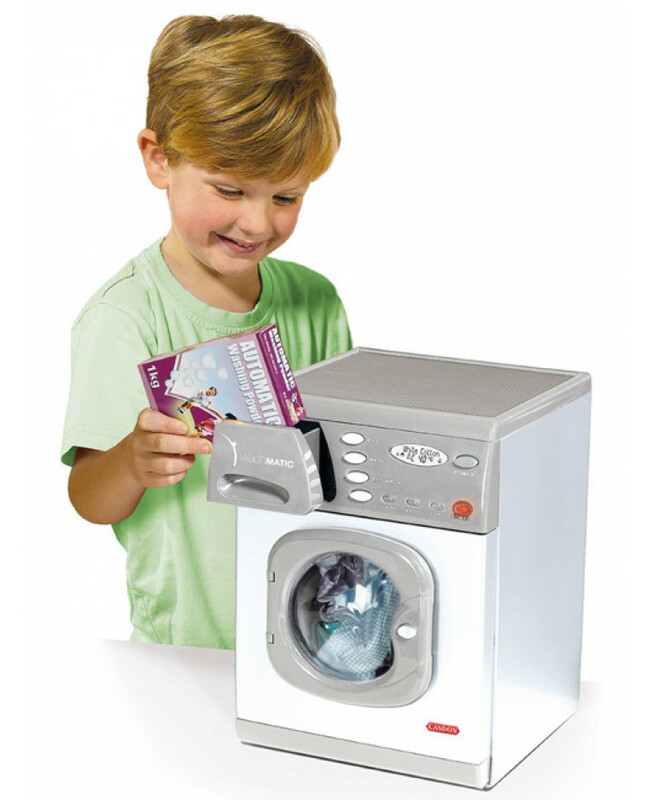 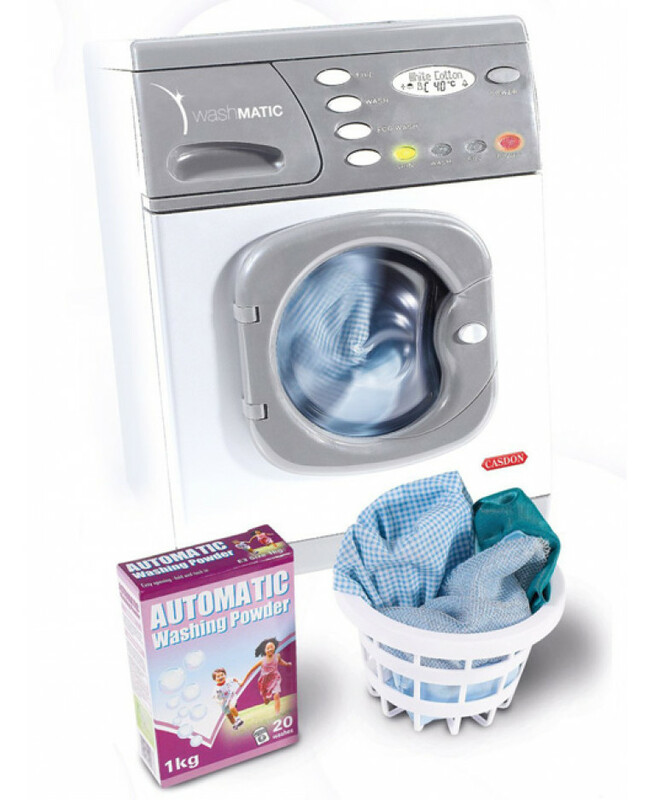 As well as being a fun toy, this washing machine has lots of interactive features including activating push buttons, opening doors and drawers and a spinning drum to help with hand-eye coordination, problem solving and motor skills. 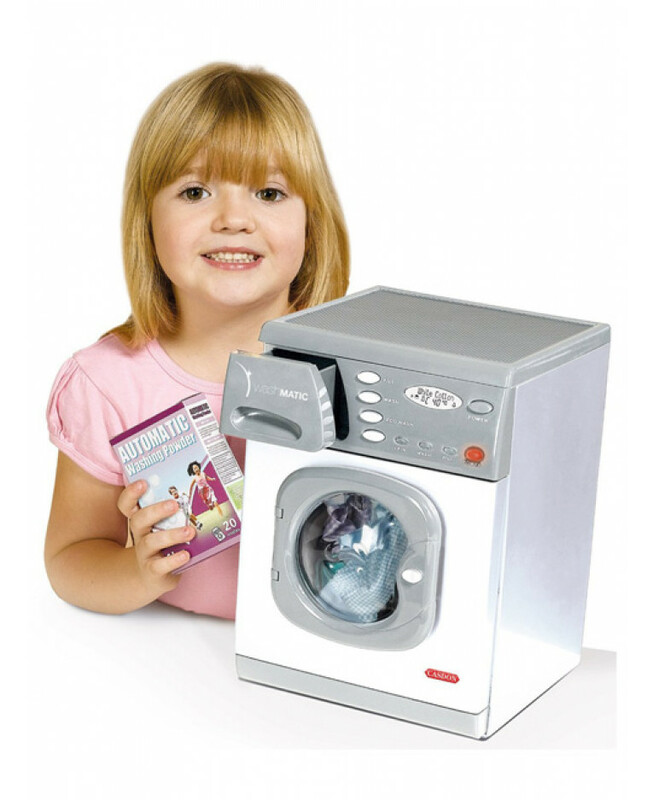 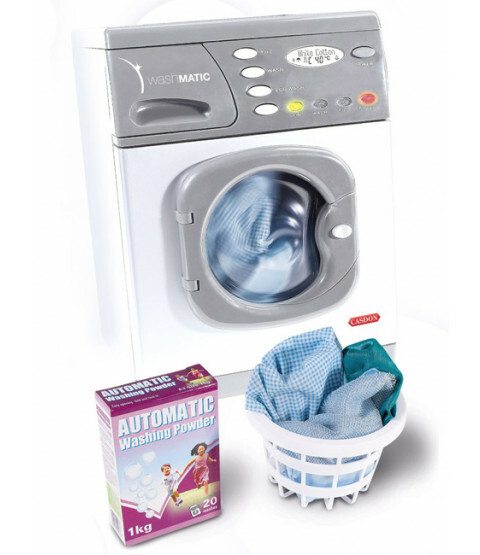 Working lights and washing machine sound effects add to the realistic feel and it also comes with a replica detergent box and washing basket.